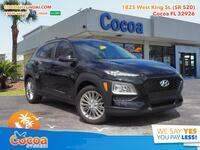 If you live in Titusville, you can buy at Cocoa Hyundai! 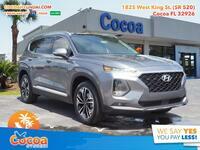 You don’t have to drive far if you’re shopping for a new car in the Titusville FL area, as Cocoa Hyundai offers a ton of new vehicles just a few miles down the road. 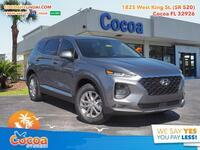 Located in Cocoa, we’ve got all the new Hyundai models you could hope for, as well as plenty of used vehicles from a number of assorted brands. Be sure to check out our online inventory or come check out the dealership for yourself! 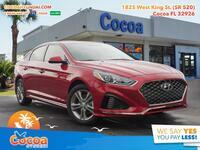 One of the most popular sedans on our lineup, the Elantra is the perfect car for Cocoa living. 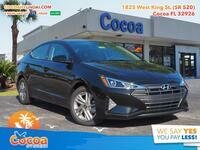 Offering plenty of great features throughout, this sporty & efficient compact makes a great option for any driver. One of the newest vehicles to the lineup, the Hyundai Kona slates into the increasingly popular subcompact crossover segment. Though it’s got a small package, it’s filled to the brim with outstanding content. 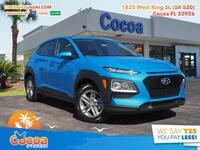 If you’re in the market for a larger utility vehicle, then the compact Santa Fe might be the right choice for you. Offered in a multitude of trims and configurations, the Santa Fe makes a great, spacious option. With a wide variety of vehicles available, beyond just the three great options detailed above, you’re bound to find something that meets your needs. Offering a variety of sedans and crossovers across a multitude of sizes, as well as several great hybrid options, Hyundai has something for everyone. Check out all of the great research on our website to find the vehicle that best meets your needs, then see if we’ve got any in our inventory. Once you find what you’re looking for, all that’s left to do is schedule a test drive. You can do so here on the website or by giving us a call, so you don’t have to risk driving out of town without a set game plan. We look forward to working with you!